Besides a Dolphins vs. Titans match-up that saw a total of three quarterback leave the game, there weren’t many notable injuries during week 10 that will have fantasy football owners scrambling for replacements. And with the bye weeks out of the way, everyone should have a full roster of active players to choose from for the final stretch of the fantasy regular season. But that doesn’t mean you shouldn’t be utilizing the waiver wire in order to improve your team. Here is a look at some players that may be able to help you throughout the final three weeks of the season, and into the playoffs. 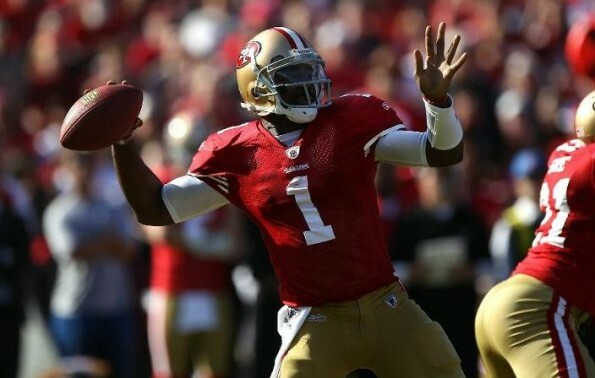 Troy Smith, QB, SF – Now that he has been named the starting quarterback of the 49ers, despite the health of Alex Smith, it is safe to add Troy Smith to your fantasy roster. This duo-threat may not put up Michael Vick-esque numbers, but he certainly has some fantasy value. In his two starts he as recorded a total of 552 passing yards and three total touchdowns. With games against the Cards, Seahawks and Rams remaining in weeks 12, 14 and 16, respectively, Smith could be quite useful to owners down the final stretch. Pierre Thomas, RB, NO -Those looking to acquire a top-end running back for their fantasy team may want to look at Pierre Thomas. After being injured in week three of the season, several owners likely dropped Thomas as he has sat out the last seven weeks, but it appears as though he is close to making a return. And with the Saints offense looking like it may finally be finding its form, Thomas could turn out to be a big addition to any fantasy team. Keiland Williams, RB, WSH – Michael Vick’s Monday night performance was the talk of the town, but also impressive was Redskins running back Keiland Williams. Starting in place of the injured Ryan Torain and Clinton Portis, Williams made the most of his opportunity by recording 89 rushing yards, 50 receiving yards, and three total touchdowns, as he led all NFL running backs in week 10 fantasy points. Torain and Portis could be back anytime soon, but it will be tough for Mike Shanahan not to roll with the hot rookie out of LSU. Mike Thomas, WR, JAC -Sure, much of Mike Thomas’ production on Sunday may have come from a lucky Hail Mary touchdown with no time left on the clock, but that shouldn’t overshadow the fact that the Jaguars receiver has actually been quite solid over the past few weeks. Thomas has started in four of the Jags past five games, and in those games he has recorded 24 receptions, 409 total yards (80 of those are rushing) and two touchdowns. If he continues to produce at this rate, you will be glad you grabbed him, or disappointed you didn’t.